Twisted Oak’s “Take Your Rubber Chicken to Work Week” ends today! Here’s my entry! 1. Get a rubber chicken if you don’t have one. We got ours at Twisted Oak; it’s an original. You can tell by its Twisted Oak choker. You can also tell our chicken likes raves by the collection of friendship bracelets. 2. Take it to work. 3. Take a funny picture. We tried. 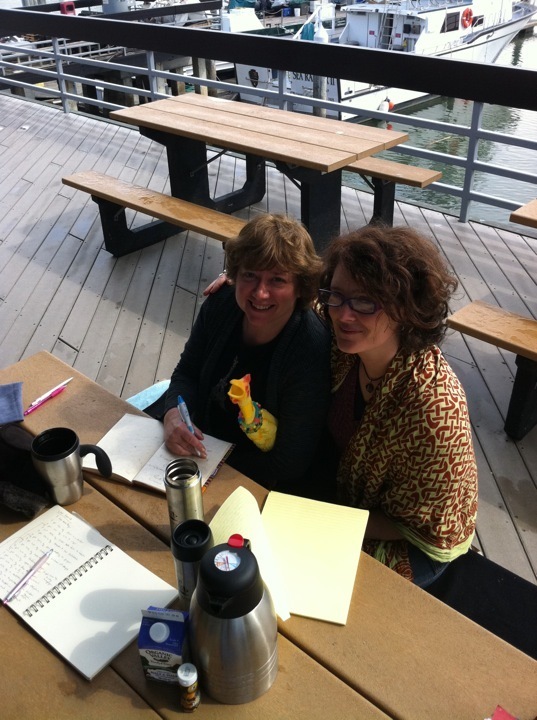 Beverly said writing poetry is serious business. 4. Email it to tastingroomATtwistedoakDOTcom BY March 30th. That’s today! 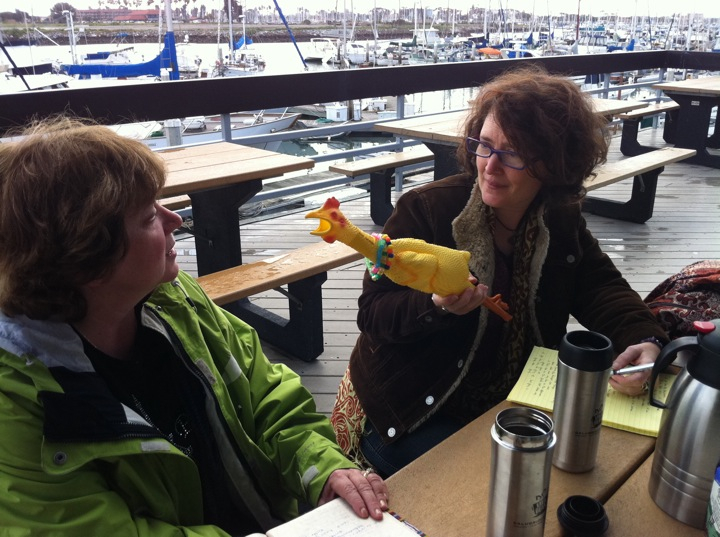 For Take Your Rubber Chicken to Work Week, Danika and I decided to take my son’s rubber chicken to our “Message in a Bottle: Ocean to Ojai” writing workshops. 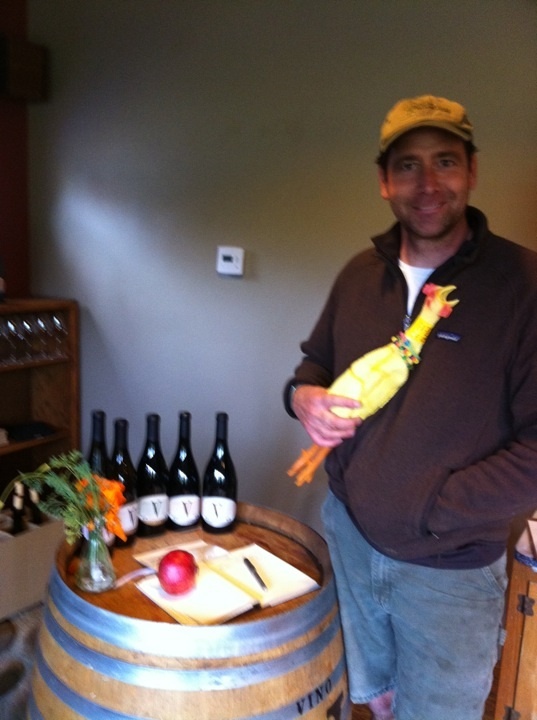 Our rubber chicken learned a lot about poetry, wine, and local natural history. 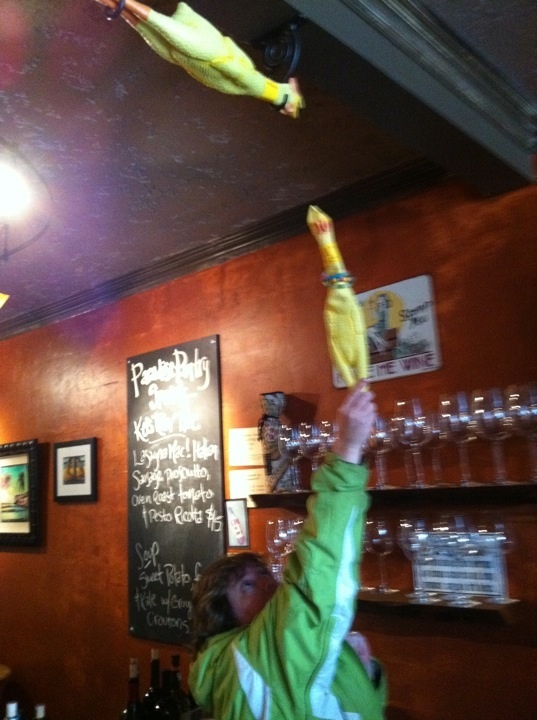 We thought our rubber chicken was named Murgatroyd but we discovered that was a favorite saying (and Twisted Oak wine) not a name: Beverly is actually the name of our rubber chicken. 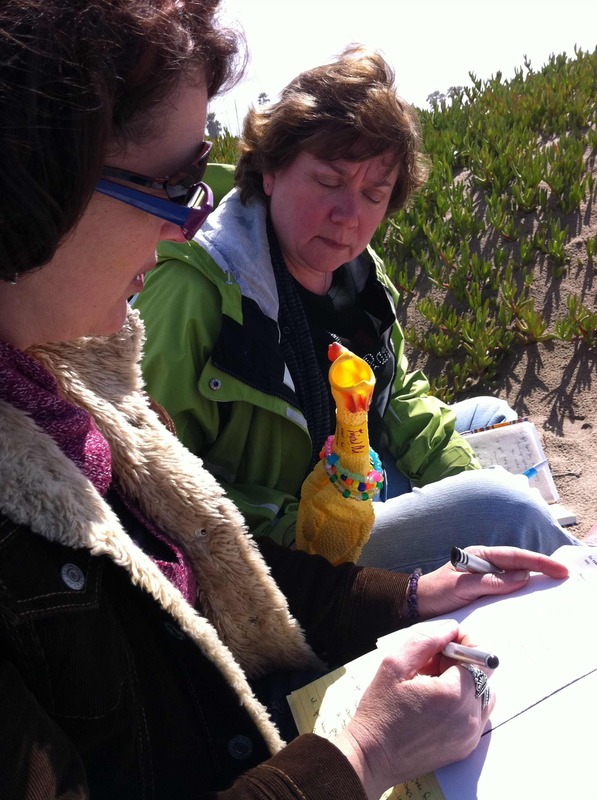 Among many adventure s, we took photos of Beverly learning how to do writing practice, write a pantoum, and taste wine with Vino V and Old Creek Ranch Winery winemaker Michael Meagher (pictured with Beverly). 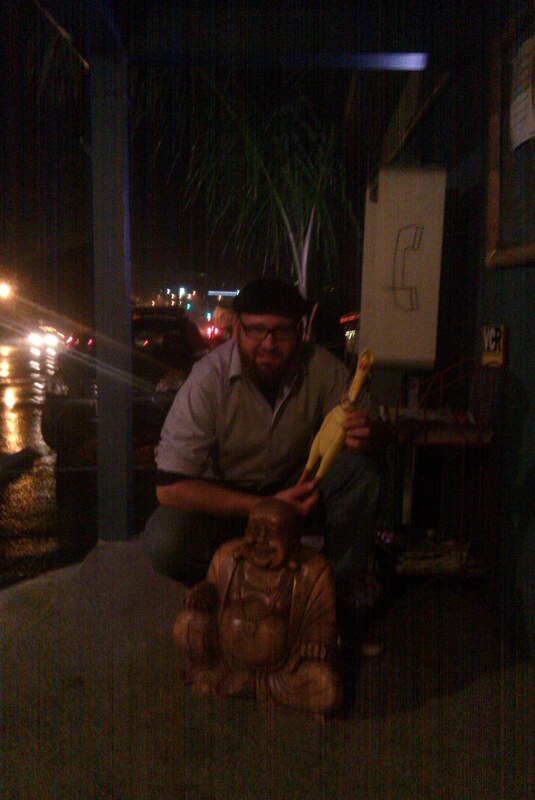 Beverly also enjoyed chai at Farmer in the Cook in Meiner’s Oaks and performed in an open mic at Big Buddha Lounge. Here’s a picture of Beverly with Big Buddha Lounge’s Davis Far. Beverly also starred in a few youtube videos; I’ll post links when they go up sometime tonight. 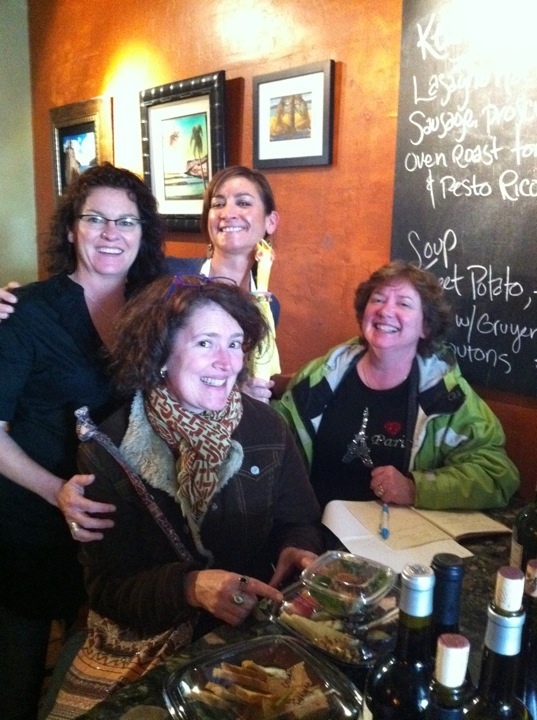 So by my accounting, there’s quite a few of us who took a rubber chicken to work: Danika and Joan, the gals at Paradise Pantry, Michael Meagher , and Davis Far. I can only hope you will split your Master Cluck Bucks for Twisted Oak wine with me, your photographer and friendly neighborhood blogger. lol! those are great. I like the first one because it looks like I’m interviewing Joan with the chicken.